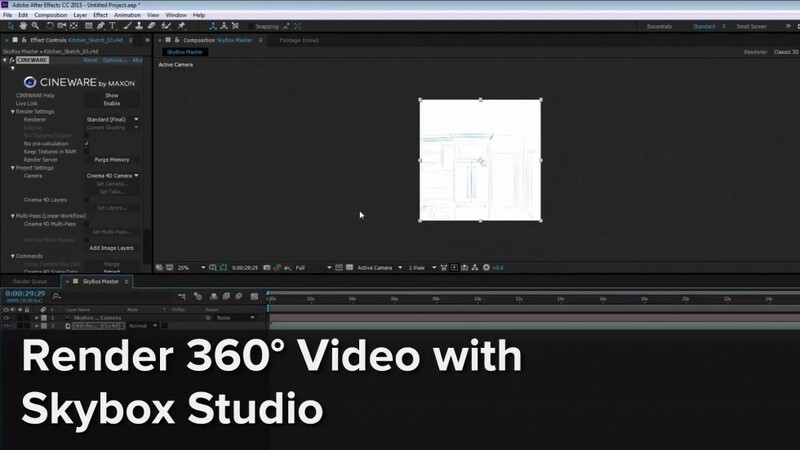 This Cineversity tutorial series shows the 360 video production pipeline between Cinema 4D, Cineware for After Effects, and mettle SkyBox Studio. 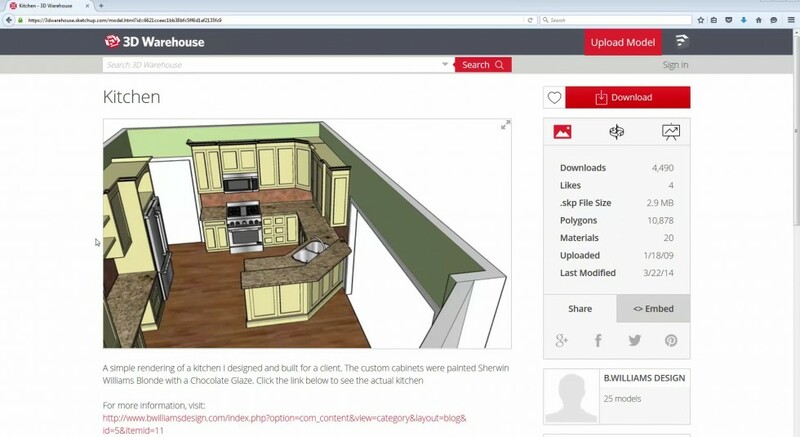 You’ll learn how to transform a Sketchup Kitchen from 3D Warehouse into an immersive 360 video. VR is ideally suited to architecture and real estate because it allows the viewer to see the space before any work is done, and without the expense of furnishing a model home. 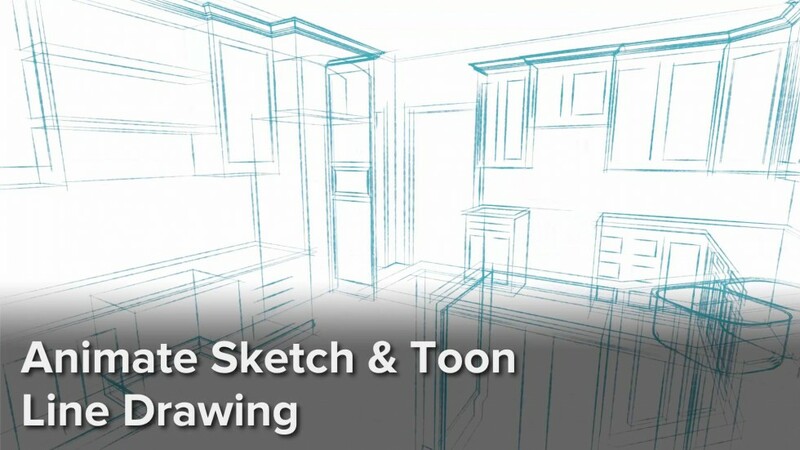 In this case, we’ll animate Sketch & Toon to introduce various elements – much like you might see in a home renovation TV show. This series is hosted by Rick Barrett. 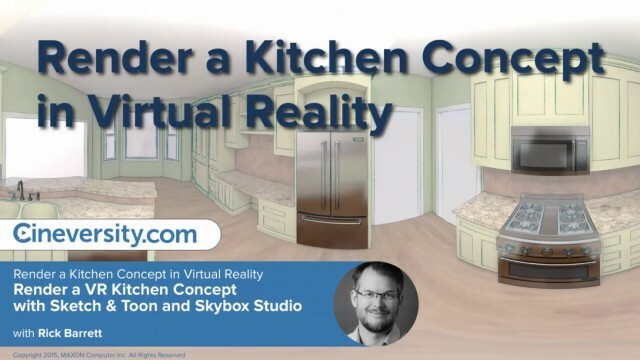 Series Introduction: Render a kitchen concept in 360 virtual reality.